Kerys created a birthday card featuring our adorable Pure Innocence girl complete with a birthday surprise. We love the paper pieced elements she included in the design with the stamped sentiment directly on the card base. Jessica designed a stunning galaxy paired with the Space Explorer stamp set and added a bit of sass with the Sassy Pants Best Friends stamp set. 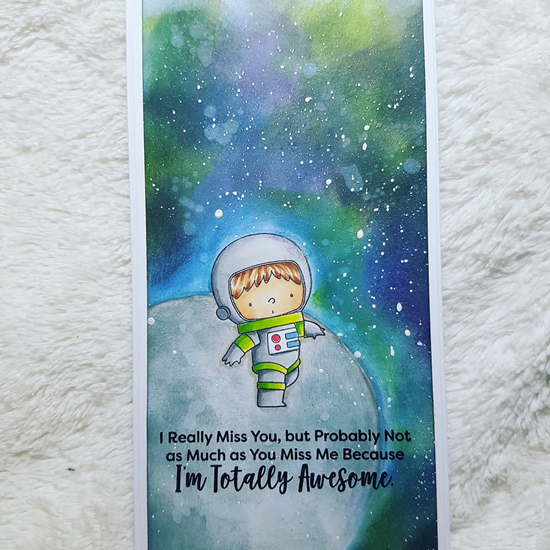 She added a gorgeous blend of colors to the background with white pen detail for the stars and completed the design with the sentiment stamped directly on her scene. 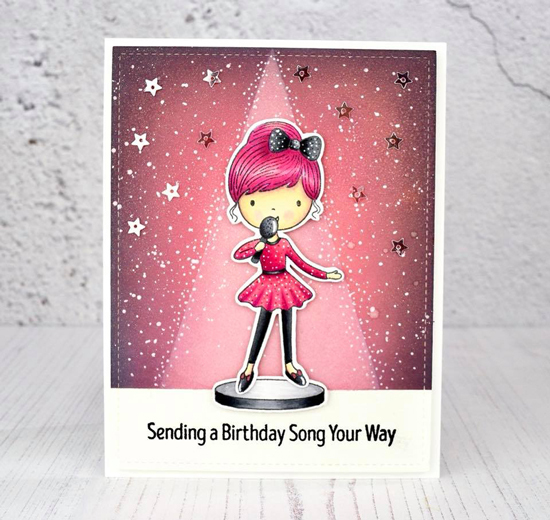 Angelica rocked her birthday design with a blended pink background, a compilation of sparkling stars and a bright spotlight to highlight her main stamped image. We love the monochromatic look to her design and the stamped sentiment that perfectly complements the image. 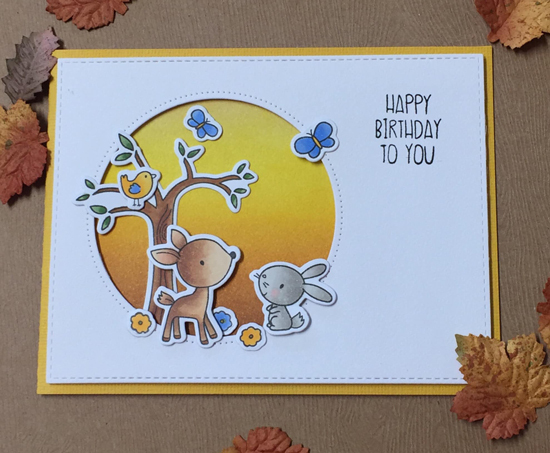 Karine created a sweet scene with the emphasis on her charming woodland characters. The images are highlighted by her ombre circle element with the yellow card base adding a cohesive look to the design. 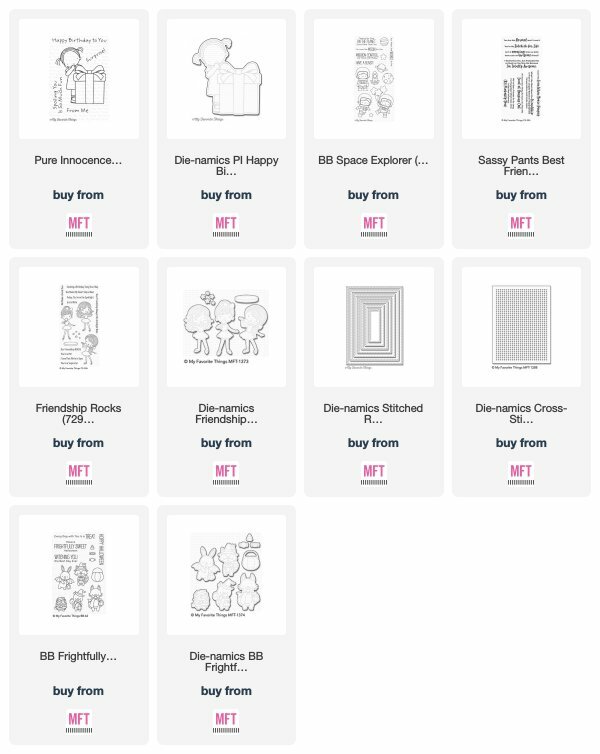 We love the unique design Beatrix created with the Cross-Stitch Rectangle Die-namics on her Halloween themed card. 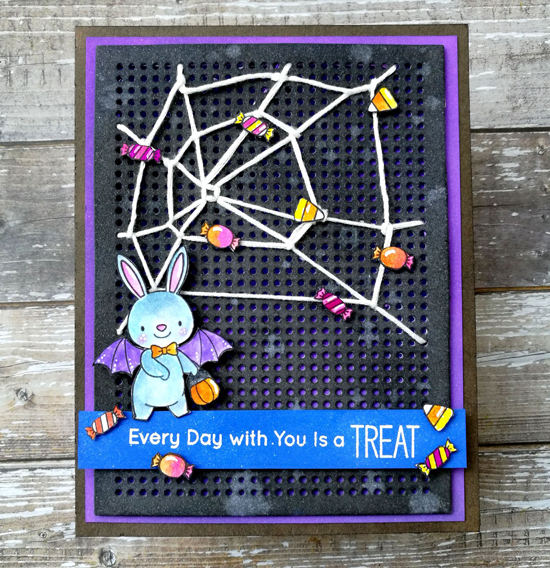 The stitched spider web adds texture and interest to her card while the candy adds a fun and playful look to the design.